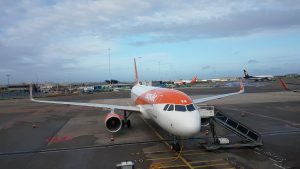 A morning Easy Jet flight from Luton to Amsterdam. In October I was elected to be a member of the ESOMAR Council for a period of two years. This week saw the first meeting of the new mandate, a meeting that was also the last meeting of the previous Council. The joint meeting allows the new Council to learn from its immediate predecessor and to facilitate a smooth transition. This Council meeting was a three-day session in Amsterdam, Netherlands. After an early morning flight from the UK, I attended an induction session at the ESOMAR offices, to brief the new members on our role, our responsibilities, and to sign things like codes of conduct (Council members have extra codes we need to follow in addition to the normal ESOMAR Codes). This was followed by an informal meeting with some ESOMAR staff, and dinner in the evening. Day 2 was a full meeting of the old and new Councils and we covered topics like reports on membership, events, publications, and the strategic plans that had been developed by the outgoing Council. The new Council is free to change any of the plans of the previous Council. But, if Councils behaved in that way, nothing would ever get finished, as most truly strategic projects take longer than two years to implement – so the most effective way of doing business is to build on the work of the previous Councils. Core strategic aims at the moment include making the case to Governments and business about the benefits of market research (so that we are not overly restricted by inappropriately drafted laws), of expanding the membership of ESOMAR (particularly amongst younger people and in countries where ESOMAR membership lags behind the size of the local research market), and of expanding the traditional boundaries of market research to encompass the newer digital ways of understanding humans. The new members spoke about their additional interests and several of us mentioned the growing interest amongst members of a personal code of conduct – for example, check out some of the comments made in this discussion on LinkedIn. the big increase in the number of ESOMAR members who are young. On the third day we reviewed the accounts for the year to date and the proposals for the 2019 budget. This was followed by setting the agenda for work and meetings for 2019 (for example I know that I will be in Amsterdam for a two-day Council meeting on 18 & 19 November 2019). I stood for election to ESOMAR Council because I am passionate about research, and that passion runs from the nitty-gritty of methodology through the process of ensuring that we create engaging stories from the data that result in action. So, I was delighted that the Council agreed to my suggestion that the Council members work with the professional staff to coach and mentor them in how ESOMAR can increase the value it gets from its surveys and data sources. ESOMAR Council has two roles, a) to create strategy (which is then reviewed/adopted by the AGM), b) to review the work of the professional staff. The work of ESOMAR is conducted by the professional staff, headed by Finn Raben, the Director General. The Council members are not paid for their work. For meetings ESOMAR covers the travel, accommodation, and subsistence costs for the Council members. I look forward to updating you regularly on my role with ESOMAR Council.